Can't say I'd ever heard of Phil Perry before coming across a 1991 promo CD-single of his recently on an obscure blog (turns out it had been posted on the excellent Finest Def Mix blog back last September too, but I'd missed it). Phil seems to have spent much of his career in the shadow of other singers, doing background vocals for Roberta Flack, Patti Austen or Will Downing. On his website you can sign up for the four-day Phil Perry Fan Cruise in the Bahamas and listen to his latest album Ready For Love which include the songs Ready For Love, Melody Of Love and The Strings Of Love. His previous album was called A Mighty Love. The album before that - Pure Pleasure - featured the songs After The Love Has Gone, When It Comes To Love, Love Don't Love Nobody and (whoah! calm down boy!) Love It Love It. See a theme here? Phil loves love. 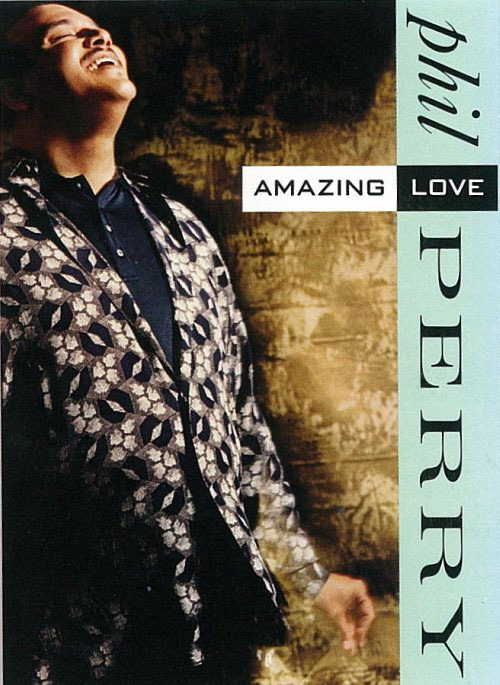 The 1991 remixes of Amazing Love were done by the stone cold classic team of David Morales, John Poppo, Eric Kupper and Terry Burrus and it seems incredible that they were not thought good enough for full proper release. The chorus go "You give amazing love, no-one does it better and that's the truth. You give amazing love. Seems I just go crazy for your amazing love", and for some reason I just can't help replacing "love" with "head" every time I sing it. Try it! Call me wicked, but there's something so earnest about Phil's singing that just needs a bit of derision. Despite that, and even though the song sticks to a pretty standard formula, the voice and production really lift it. I immediately (dare I say it) loved it. So what do I do when given several mixes of the same song that seem to end too soon? I have to tinker with them, and it proved trickier than I thought. Firstly, the mastering is slightly different on the two mixes, meaning that I had to do some subtle filtering in parts to hide the crossover between the two. I extended the rhythm intro (far too short) on the Club mix, used the acapella from the Serious Moonlight mix for extra drama at the beginning and tagged an instrumental part of the latter to extend the former and make a satisfying 8'30" mix. I could have added even more from the Jazzy Instrumental, but often a good mix isn't just about the length, it's about keeping the energy going, keeping it concise, keeping things interesting. Hopefully my re-edit does all those. I took great pleasure doing it, and I hope you'll like it. You can have a listen below - and as the track is no longer available to buy (surprise surprise), it's a free download! Enjoy. Jason, you're superb!!! You give amazing head oops! I mean you give amazing touch on the remix.